Lucky people have a variety of wild animals that visit their backyards. Seeing mother nature in action is better than any movie you can buy. 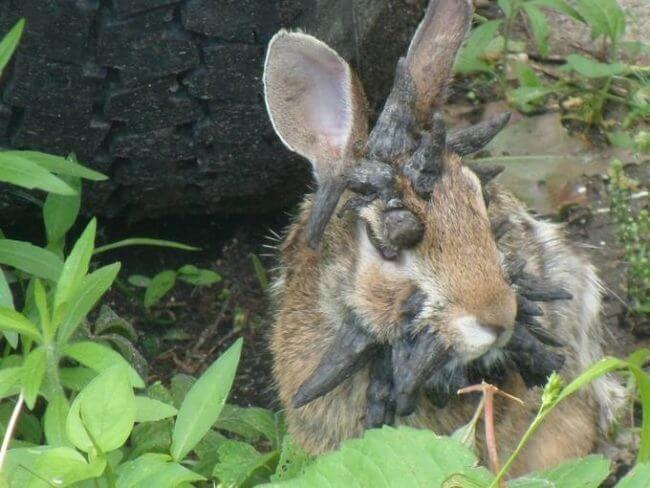 One Reddit user has a lot of bunnies that come to his yard. 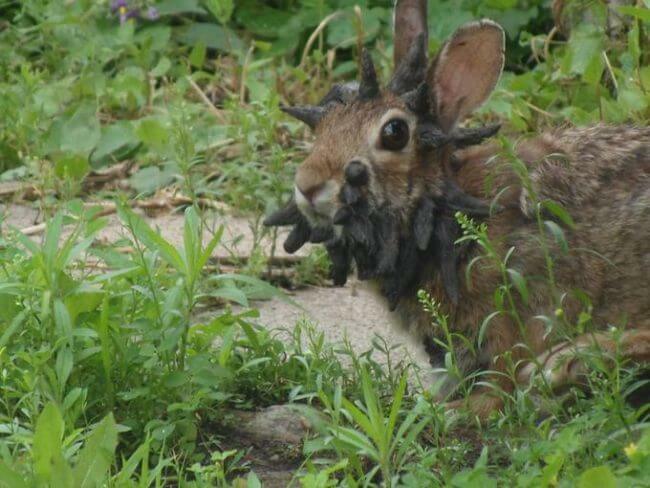 Sadly, he found a bunny once with large horn-looking tumors all over its head. The rabbit has what is called cottontail rabbit papillomavirus, or CRPV. According to petmd, CRPV is a viral disease that results in the malignant tumors. 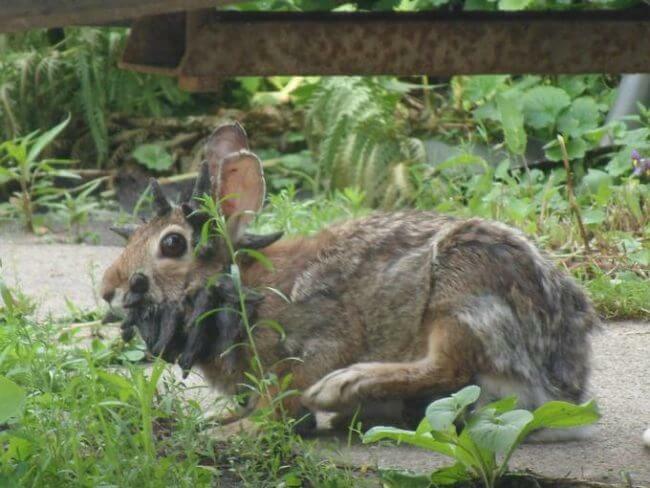 The disease is spread by biting insects (mosquitoes and ticks) and can infect wild or domestic pet rabbits. The treatment is surgery to remove the growths. Often times, if the growths are not removed, the animal will have a hard time eating and will starve to death. The best way to prevent your pet rabbit from getting this disease is to limit exposure to mosquitoes and ticks.